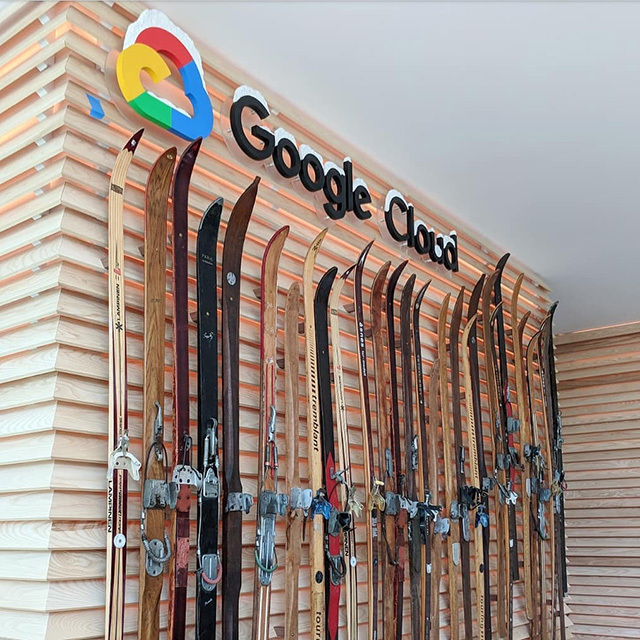 Here is a photo from a Google office that shows Google Cloud signage with a ski rack below it. I guess the cloud is up in the snowy mountains and if you get up that far, you can take those skis to travel down it? This photo was shared on Instagram.